So COME OUTSIDE and PLAY! Join Dr. Beachcomb for another amazing beachcomb experience at the 10th annual International Beachcombing Conference in Canada’s remote Passamaquoddy Bay region. IBC is a collegial, educationally focused boutique conference offering opportunities for both consummate and novice beachcombers to expand their knowledge of beach treasures, coastal and ocean conservation issues, and the region in which the conference takes place. This year, we will be exploring the regional shoreline and bay environments surrounding St. Andrews-by-the-Sea, an historic fishing village situated on Passamaquoddy Bay where the daily tidal shifts of 29 feet are some of the most extreme in the world. The town is located 20 miles southeast of the border between Calais, Maine and St. Stephens, Canada, and is built on the tip of a peninsula bordered by the Passamaquoddy Bay - an inlet off the Bay of Fundy - and the St. Croix River. This is the land of scattered islands, calm waterways and dense forests, harboring an array of marine life including seals, dolphins, sharks and whales and over 101 species of birds and. Its long settlement history - beginning with the Passamaquoddy Indians, then European settlers, 19th century fishermen/rum runners, and 20th century railroad magnates and socialites - assure a wide range of beach treasures. 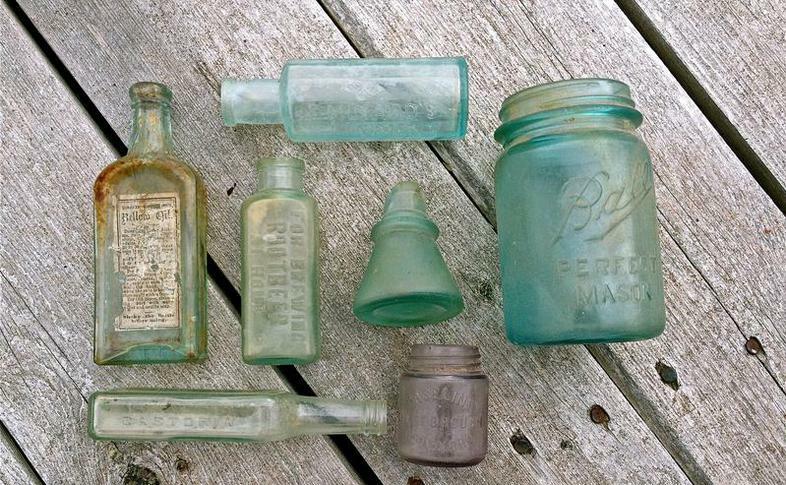 Such treasures run the gamut from Indian arrowheads, colonial clay pipes and stems to pottery shards, intact bottles, black glass bottle bottoms, sea glass, buttons, marbles and more. It is the perfect place to both beachcomb and mudlark. IBC '19 learning activities include field trips to different beaches, museums and aquariums; tutorials and tech/arts workshops led by anthropologists, marine scientists, historians, artists and experienced beachcombers; films; and smaller discussion groups. Participants will have ample opportunity to expand their beachcombing know-how as all activities are designed to provide a broader view of factors affecting where and how to beachcomb; why certain things appear on certain shorelines; and what tricks to employ to determine the age and/or origin of beach finds. There will be beach treasure I.D sessions; ‘goody’ bags filled with beach treasures from across the world; and a swap table teeming with donated sea glass, shells, pottery shards, buoys and more, which are yours to comb through and pocket. At IBC ‘19, along with expanding your knowledge base and building your beach treasure collection, you will also develop lifelong friendships with other beachcombers from all over the globe. Above all, you will have a BALL! IBC is like a summer camp for adults but without the naps, curfews, lousy food and spiders! Affordable lodging is located both on-site (limited) and at nearby hotels. Conference fees include family-style meals and box lunches; tutorials, mini-tutorials and films; beachcombing expeditions; and unencumbered access to the beach treasure swap table. (Arts and Tech Workshops are extra). So treat yourself to an unforgettable experience at IBC ’19. St. Andrew’s by-the- Sea's extreme low tides reveal a multitude of post-historic treasures on the silty, clay-like shores. For beachcombers, it doesn’t get much better than this. But space is limited, so best to book early. So what are you waiting for? LET’S GO BEACHCOMBING!